As your business grows, you might find that you could use a loan to take advantage of new opportunities. The world of small business loans can be a complicated one to navigate. So we collected some expert tips on everything from building your credit worthiness to finding the right lender. Here are some best practices and common mistakes to avoid. Any lender who is considering grating your business a loan needs to first get a grip on your finances. The easiest way to do that is to have a separate account and books for your business. According to Nav’s Small Business American Dream Gap survey, small business owners who understand their business credit scores are 41 percent more likely to be approved when they go to apply for a business loan. Your personal credit score can also make an impact, as it shows lenders your financial health and habits when it comes to paying off loans or lines of credit. So check those scores and work to improve them if they don’t meet the minimum requirements. There’s no shortage of lenders out there. Shop around online and compare rates and options before committing to one. You can even look into alternative lending options like Kiva. There are several important documents you’ll need to have on hand as you go to actually apply for a loan, from your tax returns to loan history. Make sure to carefully review what is necessary for each loan you apply for and gather all the essentials beforehand. 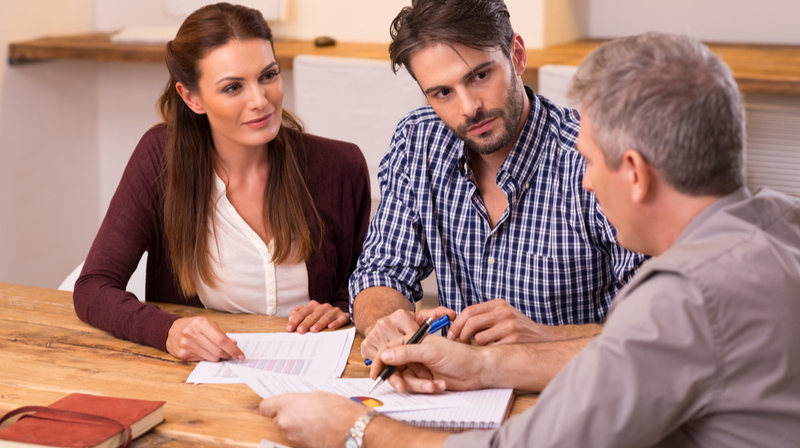 Some lenders won’t share the true loan cost with you as you apply. So to make sure you can actually afford to repay a loan, Detweiler suggests plugging the APR, interest rate and other associated costs into a business loan calculator like Nav’s. This can give you at least a general idea of the true cost and help you determine whether a particular loan is right for you. According to the Nav survey, 45 percent of small business owners who are denied financing get turned down more than once and 23 percent don’t know why their applications were denied. So if you do get denied for a loan, see if you can get any input from the lender about how you can improve going forward, or have another professional look over your application to give you some suggestions. There’s no rule that says you have to apply for a loan completely on your own. So why not take advantage of the resources available to you? Lenders don’t just run your credit to find a generic numerical score. They are also often on the lookout for any specific issues that make you a less attractive candidate. Detweiler says that late payments can lead to other red flags that will drive away lenders. It doesn’t just hurt your credit score, but it can also potentially lead to tax and property leins that can greatly harm your chances of getting approved. One of the first things lenders look at when determining your creditworthiness is how long you’ve been in business. While you probably know how long you’ve been working on your business, some businesses don’t have any documentation to back it up. Within your credit application, lenders will ask how much money you want and what you plan on using it for. Being open ended about either of these items can give them a lack of confidence about your plans. On your business credit report, you should find an industry code that describes your business. Some lenders only lend to specific industries, and others might just have a few that they won’t lend to based on the risks involved. So make sure you check those items before you spend time applying. While it’s a good idea to expand your search to non-traditional lenders, it’s also important to look into the history and reputation of any company you intend to work with.